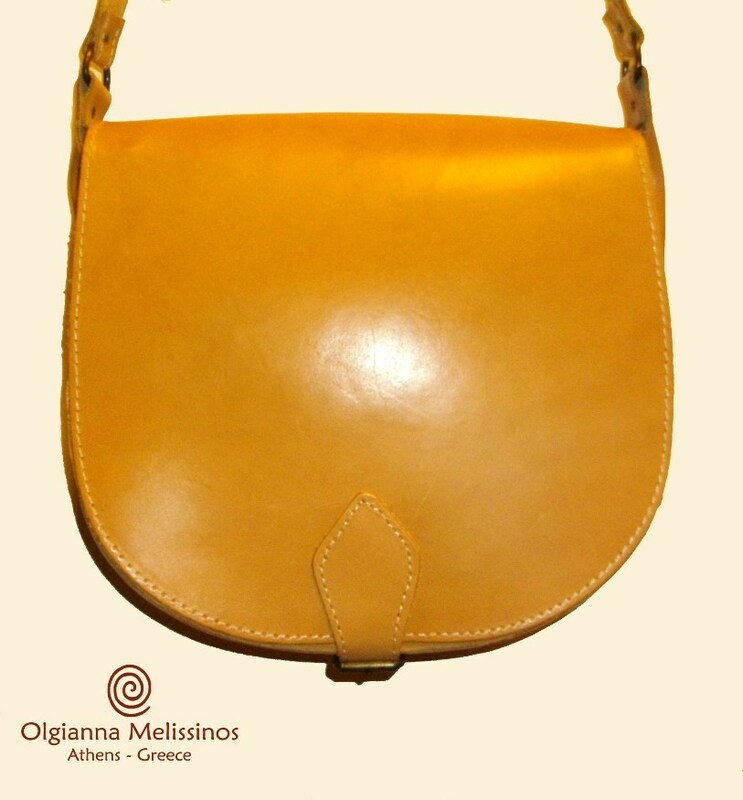 Handmade oval bag in natural coloured leather with long strap and buckle. Two compartments, zipper on the front, back side and middle separator. Maximum strap height = 67cm (distance from the shoulder to the bag).